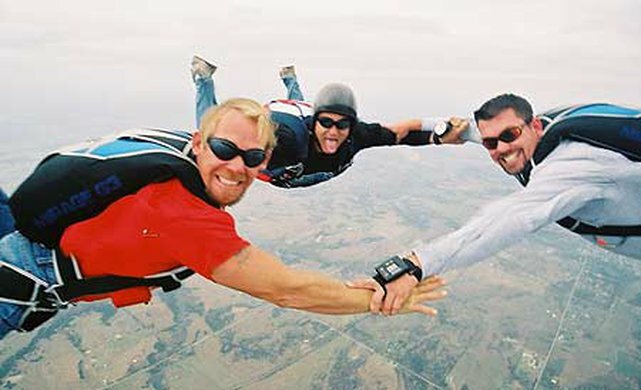 Miles of trails traverse the Oklahoma landscape, providing routes for all-terrain and off road vehicle riders who feel the need for speed. 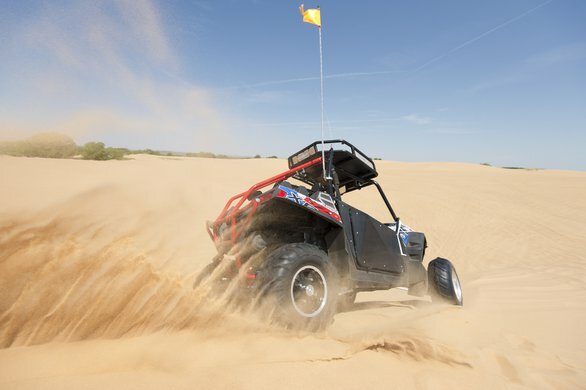 Dune buggies and ATVs are common in designated recreation areas and Oklahoma state parks, where the country's most diverse terrain makes for exciting rides. With everything from Jeep trails to uncrowded acres of 4X4 off road adventure, Oklahoma is a playground for off-roading and ATVing fans. Hit the trails in your favorite setting from pine forested mountains to towering sand dunes or rocky terrain. From ATV and ORV parks like the one at Lake Murray State Park to the wide open dunes of Little Sahara State Park, there are plenty of off-roading choices in Oklahoma for every adventurous taste. Don't forget your helmet! Oklahoma state law requires that all individuals under 18 must wear a DOT-approved helmet. Keep in mind that on public land, riding double is prohibited unless the ATV has been specifically designed by the manufacturer to carry passengers.